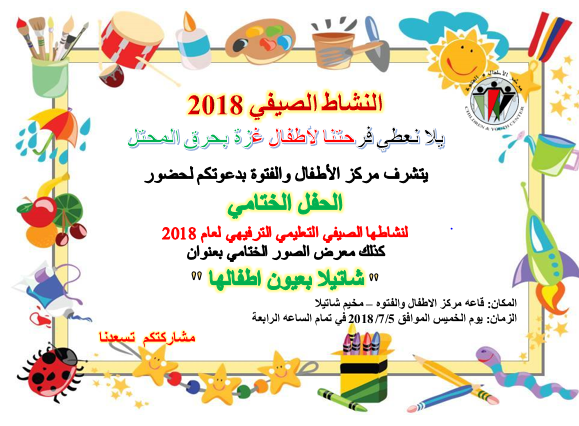 Invitation to the celebrating of the ending of Children Summer Educational – Recreational Activity Program in Shatila Camp. Plus A children photos exhibition of Shatila Camp’s life conditions. SHATILA by Its Children’s Eyes.